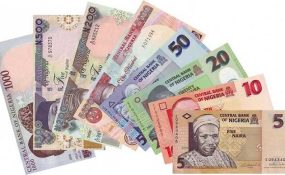 MORE Nigerians have abandoned their bank accounts majorly due to economic hardship caused by sluggish economic growth, rising job losses and reduction in purchasing power occasioned by double digit inflation. Statistics from the Nigeria Interbank Settlement System, NIBSS, showed that Nigerians abandoned 10 million bank accounts in 2018. NIBSS is owned by all Nigerian banks and the Central Bank of Nigeria, CBN. According to the company, the number of bank accounts abandoned by bank customers and hence categorised as 'inactive bank accounts' rose by 28 percent to 46.7 million in 2018 from 36.7 million in 2017. According to the CBN 2015 guidelines on dormant accounts, "An account shall become inactive if there has been no customer or depositor-initiated transaction for a period of six months after the last customer or depositor initiated transaction." This implies that in just one year, ten million bank accounts recorded zero transactions. Financial Vanguard analysis also showed a steady growth in the number of inactive bank accounts between 2014 and 2018. According to NIBSS, inactive bank accounts grew faster than active bank accounts in the past five years, 2014 to 2018. During this period, inactive bank accounts grew by 73 percent while active bank accounts grew by 35 percent. While inactive bank accounts increased by 19.61 million to 46.7 million in 2018 from 27.09 million in 2014, active bank accounts rose by 24.75 million to 71.2 million in 2018 from 46.45 million in 2014. Financial Vanguard investigations and the comments from both bankers and bank customers, indicate that factors responsible for the steady and huge growth in the number of inactive bank accounts are many and varied. These include ownership of multiple bank accounts by some bank customers, breakdown in bank-customer relationship, Biometric Verification Number (BVN) issues, incomplete account opening documentation and Know Your Customer, KYC, challenges as well as increased efforts against money laundering and other financial frauds by banks and the regulatory authorities. However, most of the bankers and individuals who spoke to Financial Vanguard, cited economic difficulties and business failures as well as rising job losses as the major causes. Okechukwu Uzor, a teacher, does not see the need to continue to operate his bank account. "I have an account with a zero balance which I have abandoned. If I have the money I will credit the account. The money is not enough to feed talk-less of saving it in the bank", he told Financial Vanguard. "The factors mainly responsible for the rise in inactive bank accounts are economic downturn/business failures and inactivity on salary accounts due to loss of job," said FirstBank in response to Financial Vanguard enquiries. Last year, the National Bureau of Statistics reported that the number of unemployed Nigerians rose by 3.3 million to 20.3 million in the third quarter of 2018 (Q3'18) compared to third quarter of 2017 (Q3'17). This, according to Uju Ogubunka, President of Bank Customers Association of Nigeria (BCAN) will definitely lead to inactivity in bank accounts. "The current situation where people are being laid off is responsible. If your job stops and you have been depending on your salary; now if your salary is not coming in, whatever you get, you just use it to oil your daily need. That can warrant inactivity in account," he told Financial Vanguard. This is aptly illustrated by the story of Makinde Wakil, Managing Director B2SM Management Services Limited, who had to abandon his corporate bank account due to economic downturn. He said: "I have a personal account and I also had a corporate account between 2010 and 2015. If I print my bank statement you will see inflow and outflow of funds and the e-payment transactions because we dealt with multinational companies at that time and their payments didn't come within the country, they paid from their head office abroad. "We worked round the clock when there was business. We paid salaries; we also had other subsidiary companies under us. The business was at its peak by that time but thereafter from mid 2015 there was no business activity happening in the company. "As a result of that, what do we have to do? When you are in business everything goes well but when you are not, what do you do. So my corporate account has been dormant from that time till date." In addition to bank customers who abandoned their accounts due to job losses, is a growing number of Nigerians leaving the country for greener pastures abroad, and in the process abandon their bank accounts. Speaking on condition of anonymity, a staff of Ecobank, said: "A lot of people are leaving the country and abandoning their accounts. So it is leading to an increase in inactive accounts that banks have. Those are the people that can actually have bank accounts. You know people that are able to leave are people that earn fairly well and they can have a bank account. Once they leave they don't access those accounts anymore." An example is Mr. and Mrs. Oloruntoba who have stopped operating their bank accounts since they migrated to the United States early 2018 with their two year old daughter. The case of Mrs. Sarah Adewale, who sells clothes and fashion accessories is, however, different. She abandoned her bank account not because of job loss or economic hardship, but due to fraud. Narrating her experience to Financial Vanguard, she said: "One of the factors responsible for increase in inactive accounts is fraud. People are abandoning their bank accounts after being defrauded. Like me, I fell into the hands of fraudsters or armed robbers called 'one-chance' who used a Point of Sale (PoS) machine to transfer my money in my bank account to their accounts. And since then I abandoned the account because I don't have any reason to go to the bank again. I don't want to encounter such and since then the bank has been calling me but I don't have their time." According to a branch manager with UBA, many Nigerians in Diaspora have abandoned their bank accounts due to fear of fraudsters. "We discovered that a lot of customers living abroad refused to enrol for the Biometric Verification Number (BVN) because they don't want anybody to use their account to commit fraud. They will tell you I will come and do it when I return to the country. So the account becomes inactive." The BVN according to bankers is another reason why some customers have abandoned their accounts. "A lot of the inactive bank accounts have BVN issues," a top official of NIBSS confirmed to Financial Vanguard on condition of anonymity. Confirming this in response to Financial Vanguard enquiries, GTBank said: "There is a close tie between number of accounts that are inactive and number of accounts that do not have BVN. In addition, inaccurate information supplied by customers leads to data matching issues during BVN enrolment". A branch manager in one of the tier-1 banks, however, said the reason some bank accounts have not been linked to BVN is because they were primarily opened and used for fraudulent activities. "The customers abandoned the accounts because they don't want the activities in those accounts traced to them", she said. Financial Vanguard investigations, however, discovered that most banks are not comfortable with customers abandoning their bank accounts and hence are making efforts to reduce the number of inactive bank accounts in their books. "It is part of our performance indices", a branch manager in a Tier-1 bank told Financial Vanguard. "In my bank, we don't use the six months criteria of the CBN. Rather we use three months. Once the customer does not operate the account for three months, it is classified inactive, and we begin to take measures to encourage the customer to operate the account. We are also given quarterly target or threshold for inactive bank accounts," she said. To check incidence of inactive bank accounts, FirstBank said it has created a team to follow up on inactive account holders. This is in addition to digitisation of account opening process and creation of convenience for on-site BVN enrolment. Other measures introduced by the bank include: automation of access to loan facilities like salary overdraft, personal loan against salary; and creation of account opening processes at agent locations to help in reducing the incidence of inactive accounts as such agents are closer to customers. On its part, GTBank said it actively engages inactive customers through incentivized campaigns to encourage them reactivate their accounts. "Furthermore, the bank has also commenced expanding its agent banking network so that customers in remote areas can bank without the inhibition of proximity to our regular branches," the bank told Financial Vanguard. The CBN, however, described the rise in inactive bank accounts as a normal feature of the banking industry with profit potentials for banks. Responding to Financial Vanguard enquiries, Director Corporate Communications, CBN, Mr. Isaac Okoroafor, said: "Incidence of abandoned accounts has always been a feature of the Nigerian banking industry for many reasons. "A common reason is the cumbersome procedure of complete closure of an account. Many people in a hurry will withdraw to the last kobo possible and move on, abandoning the account for good. "There's is also death and the absence or knowledge of a bona fide heir to the estate or poor documentation for inheritance. "In most cases, abandoned accounts carry relatively low balances compared to active ones signifying lack of interest to pursue them. The banks, however, welcome such developments because the funds represent no-cost flow and eventual profits. "The above are normal trends in the banking system. However, if the is a recent upsurge in the statistics then fear of law enforcement against money laundering cannot be ruled out especially if the sums in the accounts are heavy." BCAN President, Oju Ogubunka however insisted that the authorities should be worried and take measures to tackle the trend. He said: "The industry should be worried about it. If the accounts are active, that helps monetary policy performance, because velocity of money and other factors will come into play. If people are not using their bank accounts and they are now dealing on cash and carry basis, that is lost in the economy arrangement in terms of capturing it in the system".